Oh heavens, do I get tired of explaining to people why I would very much like to know in advance and in detail what food will be served at an event my food-allergic child will be attending, even if my child won’t be eating any of the food that will be served there, because he plans on bringing his own allergy-safe food. People who do not regularly deal with managing life-threatening food allergies often have a very hard time understanding my concerns about my son just being in the same room while a food he is allergic to might be served. 1.) People with peanut allergies have been shown in studies to experience allergic symptoms to just traces of peanut residue, as in, MILLIGRAMS. As in, an amount that won’t necessarily be tasted or seen. 2.) THEREFORE, no matter how much care I take in selecting allergy-safe food for my own child to bring, if my kid’s peanut-free food touches your kid’s peanutty food, or a utensil or a cooking surface or an eating surface that was touched by your kid’s peanutty food and not cleaned, my kid’s food is no longer definitely peanut-free, and can no longer be considered safe for him to eat. 3.) Also: My kid breaks out in hives from touching peanut residue. No really. He does. This is real. This actually happens. This is an actual thing. I HAVE PICTURES. And he is not the only kid who faces this issue. In fact, one of the more commonly cited studies on contact reactions showed that about 1/3 of kids with peanut allergies will react with some form of itching, rash and/or hives after minor skin contact with peanuts. In this study, 30 kids with a confirmed peanut allergy were exposed to their allergen through skin contact. Researchers placed a pea-sized amount of peanut butter placed on each child’s skin for one minute, and then wiped it off. After this very limited exposure to peanuts, ten of the 30 study participants experienced some form of allergic reaction at the site of contact: three developed skin redness at the site, five developed itching, and two developed hives. So yes, I need to know if the other children at your event will be eating peanut butter cookies, or Snickers, or German chocolate cake, even though my son is bringing his own food. YES I ACTUALLY DO. Because when other children will be running around your event space with their hands and faces covered in a substance that could put my kid in the hospital if he eats even a trace of it, and could cause him to break out in hives if he even just touches it, my kid and I will need to plan accordingly. Think of it this way: If I were intending to serve poison ivy salad at my party, even if you weren’t planning to eat it yourself, or serve it to your own kids, wouldn’t you want to know? 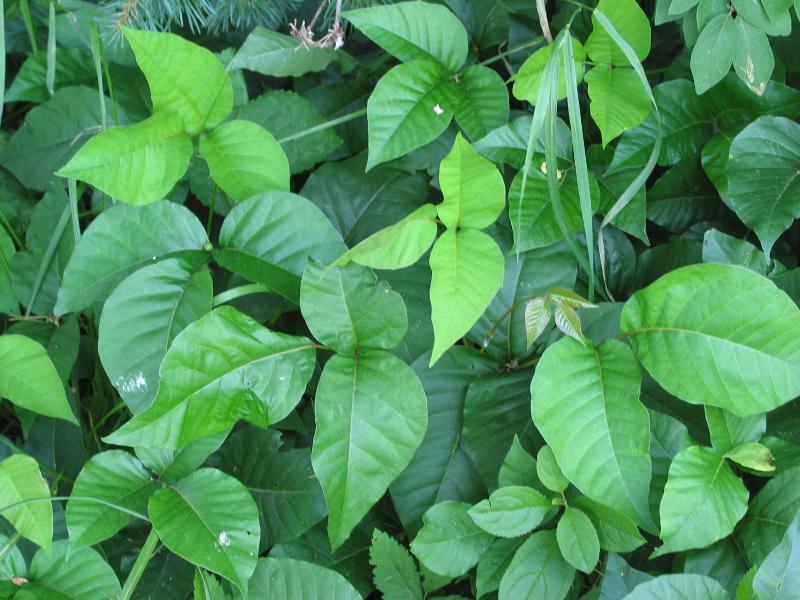 The poison ivy image, by Esculapio, is in the public domain, taken from Wikimedia Commons. Tagged contact reactions, cross contact, education, parties, peanut allergy, social life.